Investors must be quoted an "all-in fee" to make charges more transparent in a shake-up of the investment sector, the City regulator has confirmed. The Financial Conduct Authority (FCA) said that the asset management sector held the savings of millions of people. Yet despite "sustained, high profits" for these firms, there was weak price competition and no link between higher fees and better performance. 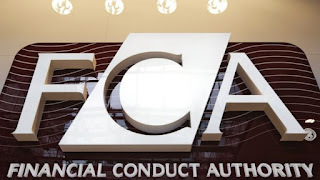 Fund managers will face stricter rules following the regulator's review. "In the current low-interest environment, it is vital we help people earn a return on their savings. We need a competitive sector, attracting investment into the United Kingdom which also works well for the people who rely on it for their financial well-being," said Andrew Bailey, FCA chief executive. This includes greater price clarity, with each firm declaring a complete annual fee, rather than the current mix of different charges. The FCA found that firms it sampled had an average profit margin of 36%. The FCA also said it would launch a review of investment platforms - an announcement that led the share prices of some of the largest operators to fall in early trading on Wednesday.